Other than film screenings and the panel discussion lined up on Day 2, we are proud to present the following partner events as part of our exciting line up for Queer Asia 2016! A flight ticket to Jakarta becomes an answer of Mom’s (Ibu Kartini) many years longing for her first son (Anggun Pradesha). She leaves Jambi for the first time to travel to the Indonesian capital of Jakarta, leaving her husband and other children behind. Soekarno-Hatta airport is the witness of Mom’s surprise meeting with Anggun. This film is part of a trilogy that focuses on family secrets. It was filmed and produced in early 2015 under the banner Project Change, which is under the auspices of the Kalyana Shira Foundation based in Jakarta. The relationship between Yatna and his father is traumatic. After 20 years of separation, Yatna decides to return to his place of birth, to ask a very important question that has bothered him all this time. This film is part of a trilogy that focuses on family secrets. It was filmed and produced in early 2015 under the banner Project Change, which is under the auspices of the Kalyana Shira Foundation based in Jakarta. Victoria Hsu is Co-founder and CEO of Taiwan Alliance to Promote Civil Partnership Rights (TAPCPR) which is one of the most important lgbt organizations in Taiwan.Victoria is Attorney-at-Law (admitted in Taiwan in 1999) and PhD candidate in the Faculty of Law at Université Paris X (France). She has two Master of Law degrees from the Université Strasbourg III (France) and from National Taipei University (Taiwan). 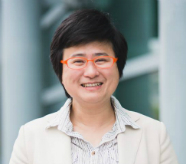 She was also an openly lesbian candidate in Taiwan’s 2016 legislative election. Homosexuality takes many forms in different cultures and times. In China, as the demand to marry and multiply continues to be high, some lesbians and gay men have adopted an unusual arrangement to alleviate such pressure. Negotiations take place and agreements set up between consenting lesbians and gays to adopt a form of contract marriage with detailed terms and conditions of marriage and married life. Then they carry out a wedding for their families and appear to live as normal heterosexual couples to the unknowing eye. How do lesbians negotiate their lives as lesbians and filial daughters? How are such contract marriages arranged? And how does the couple navigate the complicated duties and obligations of married life? “Our Marriages – Lesbians Marry Gay Men” follows the negotiations, the weddings, and the lives of four lesbians for two years in a big city in the northeast of China, documenting their manoeuvres and problems. The film raises important questions and reflections concerning the institution of marriage and homosexual life in contemporary Chinese society. Please REGISTER to secure a place.